Natural Disaster's come in many forms. They are unexpected, unpredictable and can leave unimaginable damage in their wake. In the United States we have experienced many of these crises over the past few years and in these tragic times we have come together to form a united front to provide care and support for those affected. Right now, in East Africa, there is another, unexpected and tragic, natural disaster taking place. 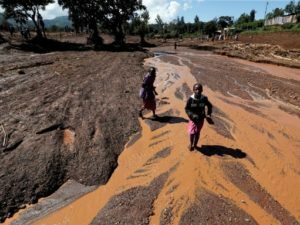 After years of severe drought hardening the land, 2018 has brought extreme rains which have flooded massive portions of Kenya, Somalia and beyond. More than 150 people have died, hundreds are missing, and hundreds of thousands have been displaced from their homes--losing everything. 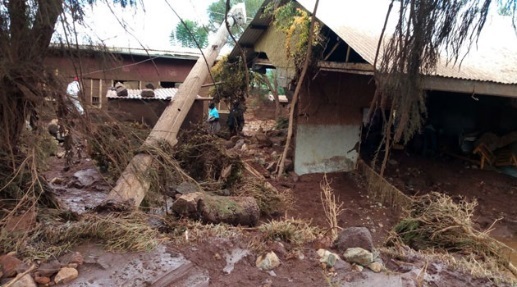 "This week on Wednesday at Solai Nakuru a water dam broke in the evening. This happened at a time when families were in their houses and were taken by surprise. the damage caused was extremely fatal. The water flowed down the slope sweeping, covering and uprooting everything on its way including hundreds of homes, people, livestock, trees etc. This year has witnessed the worst floods in Kenya. The weather department has indicated that the situation is going to be continue for the next several weeks. All the people in Kenya have been put on alert as a result of submerged homes, people trapped in water and mud. 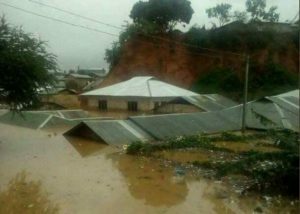 The last two months have seen extraordinary rains of very high and intensive magnitude in 32 Counties out of 47 across Kenya." It is in tough times like these which we must come together to support our fellow man; and that is just what we, at CHRF, are doing. We have been hard at work with our partners in Kenya to help provide food, water and blankets for children and families who have lost everything during these horrible floods. Please join us in support and prayer for everyone in East Africa who has been affected by this disaster. P.S. For less than $20 CHRF can help provide a child with a blanket and food for a month.